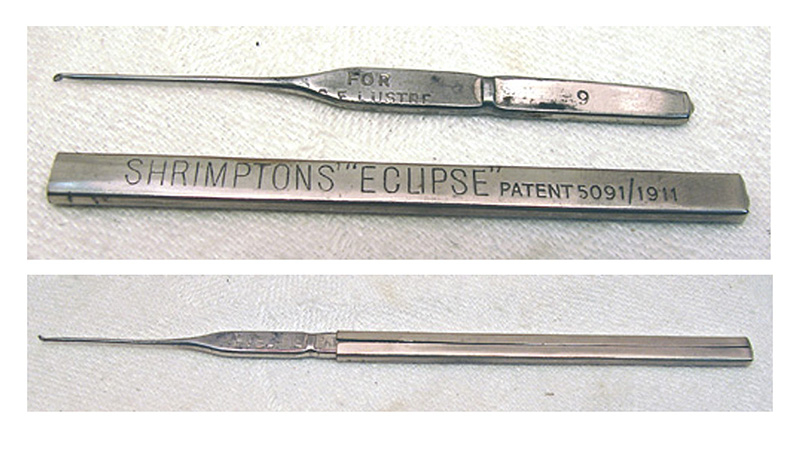 Antique covered crochet hook "SHRIMPTON'S ECLIPSE". 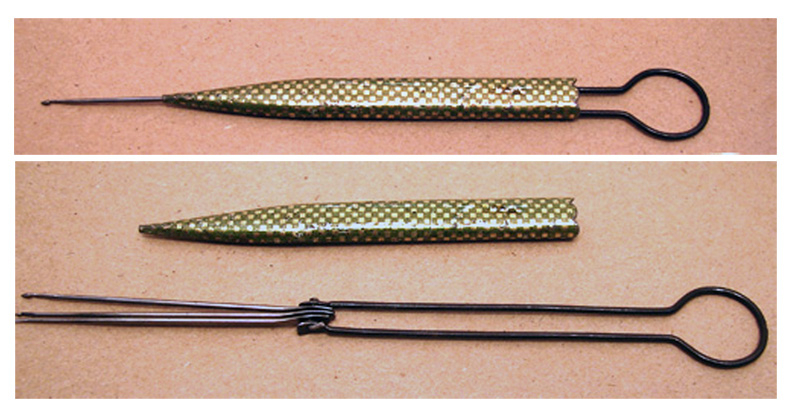 The hook pulls out of the handle and reverses back in for protection and storage. 4" closed, 5" open, and in very good condition. Antique Sterling Silver Tambour Crochet Hook "EDITH FROM MAY"
The hook is in excellent condition with no damage.